The WallHALA committee is meeting this Tuesday June 20, 7:00 – 9:00 PM in the Wallingford Community Senior Center on the bottom floor of the the Good Shepherd Center, 4659 Sunnyside Ave N.
The City has released the Draft Environmental Impact Statement (DEIS) for Mandatory Housing Affordability (MHA). The agenda is to organize ourselves to study and analyze the DEIS, and to formulate responses to it. We need your expertise to find flaws, oversights, adverse impacts, and inadequate mitigation solutions in the DEIS relating to land use, transportation, schools, storm water, tree canopy, the three alternatives presented for affordable housing, the public engagement process, and the opportunity index and equity analysis. We will assign parts of the study to multiple volunteers, in order to make the task more manageable. We encourage other neighborhoods to join us and work together on these tasks. These documents may be viewed or downloaded from the City’s MHA Environmental Impact Statement website, or from copies in the EIS folder on the Wallingford Community Council (WCC) website. These are large documents! The main document is 462 pages (50 MB) and the appendices are 364 pages (95 MB). 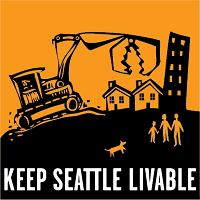 There is a Public Hearing on the DEIS on Tuesday June 29, 5:30 – 7:30 PM at Seattle City Hall. Written comments concerning the DEIS must be submitted by Sunday July 23 through an online form, by email message, or by mail. The form and addresses are on the MHA Environmental Impact Statement website. This entry was posted in Calls to Action, Land Use, Parking, Quality of Life, Schools, Transportation, WallHALA on June 18, 2017 by Frank Fay.